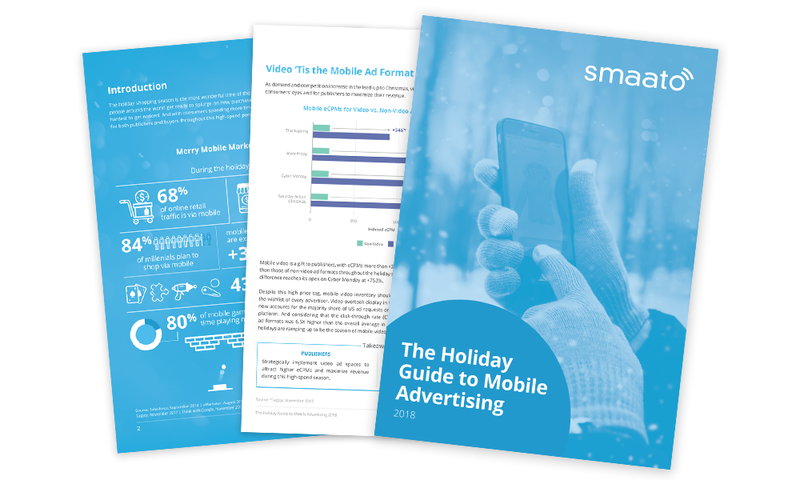 The holidays are a time of increased app usage and mobile ad spending — making this season the perfect opportunity for advertisers to engage audiences and publishers to maximize revenues. And with consumers spending more time than ever in-app, we expect the 2018 holiday season to be more mobile than ever before. Black Friday and Cyber Monday Trends: Black Friday was the biggest mobile ad spending day of the year in 2017 and is on track to be even bigger in 2018. Mobile Video eCPMs During the Holidays: Find out how much higher video eCPMs are than other ad formats on the biggest holidays. The Post-Christmas Period: Mobile eCPMs drop after Christmas, but mobile ad requests rise and stay high through New Year’s Eve. This presents a huge opportunity for advertisers to reach engaged consumers at a low cost.